At times this weird tale ventures into sentimentality but throughout we get beautiful nature photography and a wonderful cast lead by Robert Duvall and Bill Murray. 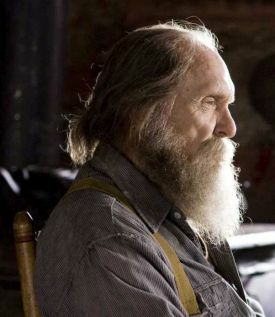 Duvall plays an elderly recluse living at the edge of a small rural town early in the 20th century. He decides to throw a “funeral” party for himself — that he will attend — and invite everyone. Perhaps he will then reveal a long suppressed secret that 40 years ago forced him to leave civilization. 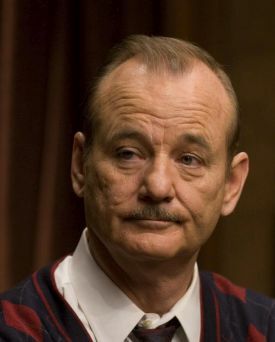 Bill Murray plays the town’s undertaker, a transplant from Chicago who alternates between shadiness and decency the way that only Bill Murray can do. The movie is the tale of the planning of the “funeral” party aided by Murray’s undertaker and his eager young assistant. Throughout the film we learn bits and pieces of the hermit’s backstory and what he has been hiding — and hiding from — for so long. Naturally there’s a woman involved, an old friend who knows the secret, and much driving about in the funeral parlor’s old black hearse, all leading up to an almost preordained conclusion that is a bit disappointing but which is an opportunity for all movie participants in front and behind the camera to shine, particularly Mr. Duvall. Duvall’s performance in this movie is a pleasure to watch. I can’t say it is a revelation since he has been so good for so long and we have come to expect excellence from him. Somehow he is able to embody a sense of reality, orneriness, and pathos. This is a character who, in lesser hands, would have strayed into overacting. Not here. There are several scenes where we really see and feel where this “crazy old coot” is coming from and they are wonderful to behold.